The proliferation of mobile technology and social networks have changed the way we communicate with our friends, family and colleagues. Increasingly, small business owners are harnessing the anywhere, anytime convenience of mobility, and the cloud, to run their business on their phone. Texting a customer to let them know they’ll be meeting them shortly, using messenger platforms like Slack to keep their accountant up-to-date or using Google Hangouts to host meetings virtually. We have come a long way from sending letters, emails or even picking up the phone to call someone. 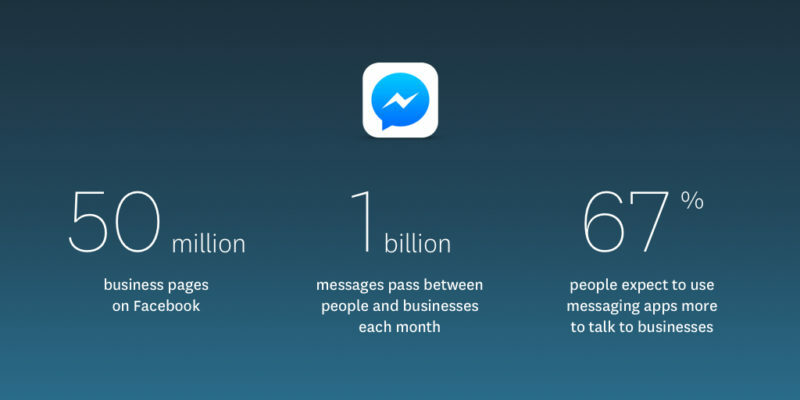 Every month, over 1 billion people around the world communicate with friends, families and over 50 million businesses on Facebook Messenger, interacting with customers, keeping them up-to-date. A recent Xero survey of more than 1,200 small business owners found that over 83 percent of respondents now use modern communications channels (social media, text, mobile messaging or online chat) for communicating one-to-one with a customer. With the majority of these tech savvy small business owners (over 80 percent) leveraging these tools weekly, and in many cases (over 45 percent) using them daily. More than half of respondents reported that they have communicated with an accountant or bookkeeper through one of these mediums, the most prevalent (43 percent) using text messages to stay in touch. With this in mind, Xero has been working on further integrating our small business platform with products like Facebook Messenger so you can access the information you need, where you want it. 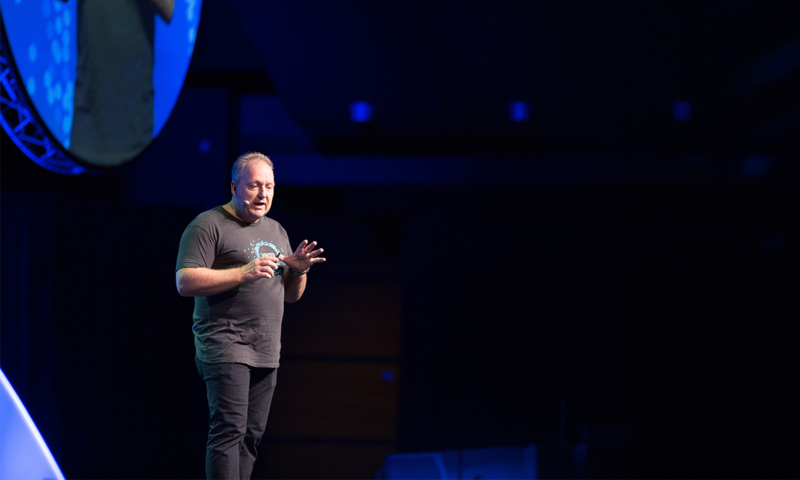 This week at Xerocon, Australasia’s largest accounting technology conference, Xero CEO Rod Drury demonstrated Hey Xero – our chatbot which integrates directly with Messenger. 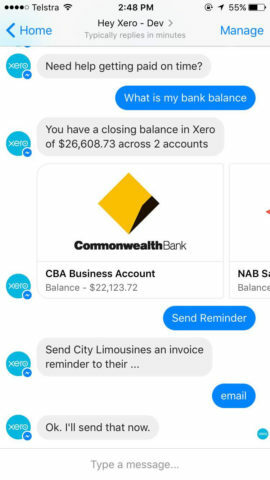 Built on Amazon Web Services, the chatbot leverages machine learning technology and the $1 trillion worth of transactional data processed in Xero over the past 12 months to enable businesses to query their latest financial data, including who owes them money, when they’re next bill is due or how much money is in their bank account. It also connects to the Xero Advisor Directory and be recommended a suitable accountant or bookkeeper in their area. Xero subscribers will also be able to discover new apps in the Xero ecosystem. “Connecting the more than 50 million small businesses on Facebook Messenger with accountants and bookkeepers is a huge opportunity for our industry. We’re opening up access to accounting software, solutions and advisors to help millions of small businesses be more productive and get the advice they need to grow and create jobs,” Drury said. According to Facebook, more than one billion messages pass between people and businesses every month on the social media platform, and that more than two-thirds of people expect to use messaging apps to talk to business. Xero is also working to make the tools available to other messaging platforms such as Slack and Apple iOS in the future, enabling Xero subscribers and new customers to access their accounting dashboard from their platform or device of choice. 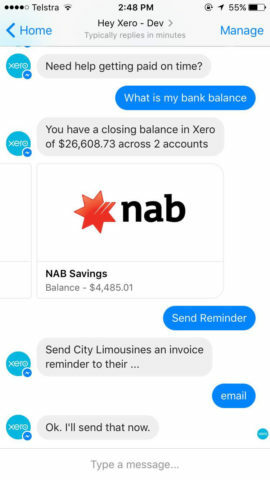 The post Meet the Xero chatbot for Messenger which connects 50 million small businesses to the global accounting ecosystem appeared first on Xero Blog.